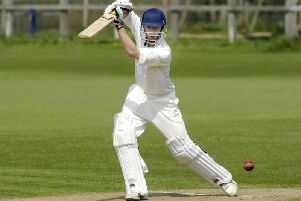 Cloughton 2nds closed the gap on leaders Snainton in Division Three with a crushing 249-run win against Mulgrave 2nds. Liam Salt hammered a superb 119 and Craig Thordarson 92 as Cloughton clattered a huge 302-7 before declaring in a bid to force a result before the rain fell, Dom Ingham taking 4-82. Grant Elwell (5-19) and Ben Rowe (4-32) then took charge of proceedings as Mulgrave were duly dismissed for just 53 to complete a miserable afternoon for the visitors. Heslerton 2nds also managed to force a result against Flixton 3rds, picking up a six-wicket success. Flixton tallied up 113-8, Peter Hill hitting 25 as Jake Sarup (3-22) and Harry Watson (3-27) impressed with the ball. Tony Watson then hit 41 to wrap up a comfortable win for Heslerton. Leaders Snainton had to settle for 12 points from their draw against Ravenscar. Steve Ridley hit 88 and Michael Kipling 45 in their total of 196-6, Joe Bayes taking 3-39. Ivan Kirk was unbeaten on 29 and Adam Graham on 24 with the visitors on 57-1 when the rain forced an early halt to the encounter. Muston were close to beating Forge Valley 2nds when the downpours arrived. The hosts had made it to 152-7, Brandon Horsfallhitting 33, Max Truelove adding 26 not out and Nicholas Thompson 25 not out, Carl Jackson taking 3-28. Valley were teetering on 87-7, George Cullingworth unbeaten on 34 after Barry Anderson's 5-36, when the rain intervened. Another side left frustrated by the weather were Nawton Grange 2nds, who looked to be heading for victory at Flamborough. Tim Sharples' 44 helped Grange to 146 all out, Ben Traves taking 3-26, Flamborough then falling to 55-5 as George Bentley took 3-17, before the wet weather halted the game. Sam Collison was also in top form with the bat, his 118 inspiring Seamer 2nds to a comfortable 105-run win at Cayton 2nds in Division Two. Collison's superb century helped Seamer post an imposing 275-8, Josh Broadhead also adding 35 and Connor Mysercough 29, Simon Glave taking 3-85. Collison then grabbed stunning figures of 7-31 to complete a stunning all-round performance and ensure Cayton were all out for 170, Jez Riley (53), Steve McAleese (39) and Simon Glave (30) all contributing. Fylingdales made light work of Pickering 3rds, winning by eight wickets. The Pikes were all out for just 47 despite Charlie Marwood hitting 26, Harry Purves (4-31) and Tom Shrimpton (3-16) doing the damage with the cherry. Chris Hurworth then hit an unbeaten 32 as Dales cruised to 48-2. Table-toppers Bridlington 2nds won their derby encounter at the clifftop against Sewerby 2nds by eight wickets. Sewerby were all out for 131, Ian Dennis hitting 40 and J Watson 30 as Louis Beckett grabbed 4-21. Greg Miller (53no) and Frankie Reffold (34no) then made light work of the Sewerby target as they made it to 132-2. The Shephersons shone in Wykeham 2nds' eight-wicket win against second-placed Wold Newton. Will Gray hit 38 and Karl Ridsdale 25, but Newton ended on a below-par 145-7, Scott Wardman taking 3-32 and James Wilson 3-40. Andy Shepherdson top-scored with 41 and Pete Shepherdson hit an unbeaten 35, a score matched by Tom Poor, when Wykeham made it comfortably to 149-2. Ebberston 2nds' home game against Kirkbymoorside was finely poised when the rain called a halt. Jez Underwood's 35 not out had helped Kirkby post 101 all out, Tom Holmes taking 3-21 and Mike Horsley 3-43. Ebberston were 50-5 with both sides still in with a chance of victory when the weather interrupted proceedings. Filey 2nds remain on course to take the Division Four East title after they hammered their nearest rivals Wold Newton 2nds by a huge 155 runs. Micky Blythe (54), Rhiannon Graham (50), Nathan Vernon (38no) and Ellery Liley (34no) helped Filey post 206-4. Lewis Adams (4-15) and Vernon (3-7) then shone with the ball as Newton were all out for just 51. Ravenscar 2nds cruised to a seven-wicket success at Cayton 3rds. Jish Rewcroft (3-23), John Nelson (3-25), Daisy Stokoe (2-6) and Luke Stokoe (2-7) all impressed with the ball as Cayton were all out for just 64. Daisy Stokoe then hit 23 and her dad Jon Stokoe remained unbeaten on 19 as Ravenscar made it to 67-3, D Riley taking 2-9. Scarborough 3rds' home game against Scalby 3rds fell foul of the weather. Scalby posted 190-6, Luke Howland top-scoring with 58 not out with support from Craig Bone (35), Tom Hendry (31no) and Nathan Barber (26), Scarborough skipper Andy Exton taking 2-32. Scarborough were on 69-3, veteran slow bowler Darrell Morley having taken 2-14, when the rain fell. 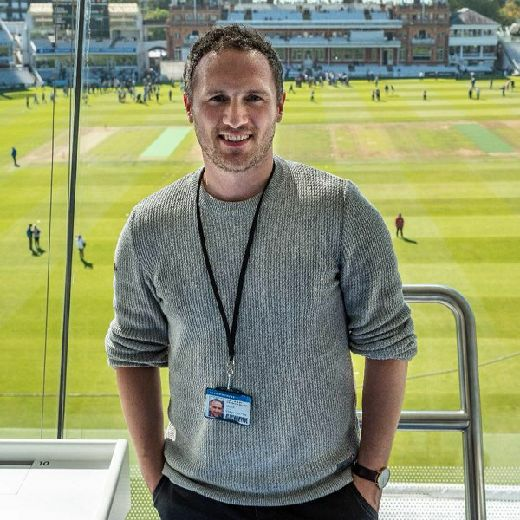 Joe Dawson claimed stunning figures of 4-5 in Pickering 4ths' 129-run hammering of Malton & Old Malton 4ths in Division Four West. Graham Jemison hit 57, John Kinghorn contributed 34 and Simon Boyes 32 in Pikes' 161-7, Matthew Lock taking 3-30. Dawson then blew Malton's batsmen away, his superb spell ensuring their were all out for just 32. Freddie Lockwood smashed a match-winning 83 for Ganton 2nds in their win against Thornton Dale 2nds. Lockwood's knock helped Ganton to 141-4, Matt Dawson taking 2-56, replying to Dales' earlier knock of 138 all out. Dan Reardon and Phil Elliott grabbed two wickets apiece to help restrict Dales, for whom Matthew Knowles hit 58 and Paul Waring 31. Forge Valley 3rds conceded their match at Wykeham 3rds.